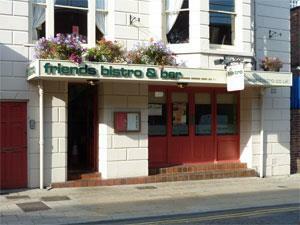 Friends Bistro & Bar01493 852538work BistroFriends Bistro & Bar, Great Yarmouth, serves a range of tantalising food to enjoy in house or to take away. 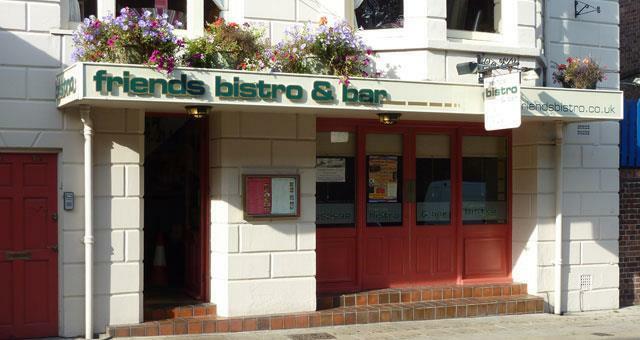 Savour the ambience of this intimate fully licensed bistro, with regular themed and live music evenings and specials. Some evening opening/themed nights - please check directly with venue.